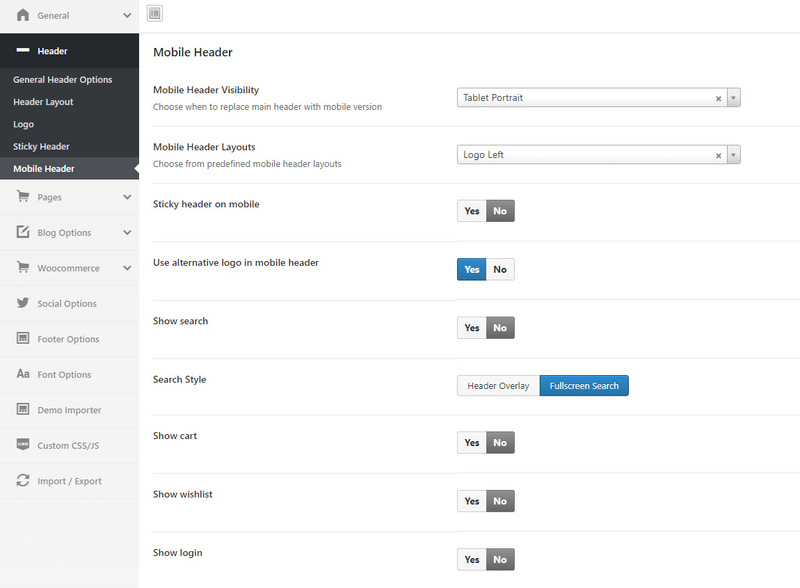 You can enable sticky header in Header – Sticky Header section of 5th Avenue options panel. If you enable sticky header then header will always stay at the top of the page even when you scroll down. Sticky header resizing – this will reduce the header height to 60px. Useful when original header is too high in height. 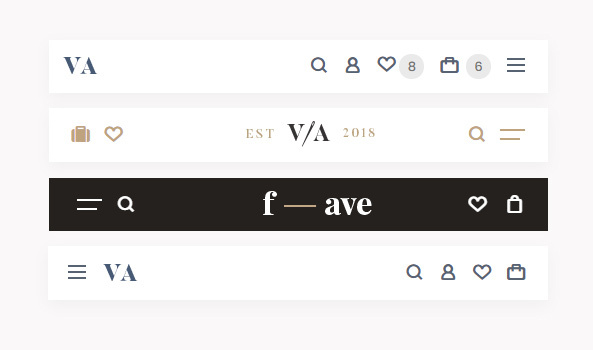 Use alternative logo in sticky header – you can show another logo image when header is in sticky state. Useful if your original logo is big and you are enabled sticky header resizing. You can adjust background, shadow and add border at the bottom of the sticky header in Appearance – Customize. On small resolutions main header replaced with the mobile header. You can decide when to switch to mobile menu by choosing from 4 different breakpoints starting from 1280px. Choose from various layout combinations for mobile header and what elements to show to create the desired look.